19th Edition of Goa Professional League will kick off from today with Guardian Angel Sports Club taking on Santa Cruz Club of Cavelossim at Duler Stadium, Mapusa. 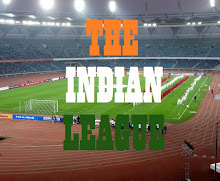 The League will run until January next year. Sporting Clube de Goa will start as the defending Champions. In total 11 teams will be participating in the League with matches being played in double Round Robin format, where each team will play against each other. The all the matches of 1st phase of the League will be played at Duler Stadium with 2nd phase being played at different venues like Raia, Tilak Maidan and Corps of Signal Ground subjected to availability. 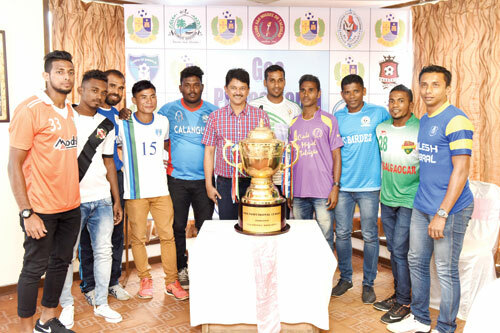 FC Bardez, which recently won the Goa Police Cup along with Corps of Signal and Clube Sao Miguel de Taleigao will be the new entries in the year's edition. Sporting Clube de Goa, Dempo Sports Club Pvt. Ltd., Salgaocar F C, Churchill Brothers Sports Club, Santa Cruz Club of Cavelossim, Calangute Association, Vasco Sports Club, Guardian Angel Sports Club, Clube Sao Miguel de Taleigao, Corps of Signal and Football Club de Bardez.